United Garage Doors knows that daily use can damage your garage doors and they may very easily start to show signs of defect. For this reason, United Garage Doors advices commercial and residential properties, to get specialty garage doors installed which are built to stand their ground against harsh weather situations, extravagant use and require minimal upkeep. Excellent craft quality, trendy designs, and long life are what define a United Garage Doors garage door. 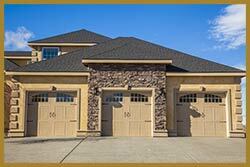 United Garage Doors offers Mesa, AZ community one of the largest collection of garage doors wherein anyone can a door that fits their requirement and price range. Our stocks include the most robust industrial garage doors to simple barn-style doors to fine crafted wooden garage doors. We also have doors that have great weather proofing capabilities that can keep the inside of the garage comfortable and save up on heating/cooling bills. All of our doors are complemented with an assortment of accessories such as top-grade extension and torsion springs, automatic door openers, chain drives, keyless entry systems and more. We are dedicated to provide residents and business owners in Mesa with industry’s best products and services. We have a skilled team of experts, abundance of resources, and we also have profound experience in dealing with all types of garage doors, be it a sectional garage door or a heavy steel industrial garage door. We’ve stocked up on best components and order our products only from the top brands in the industry. Every time you buy a United Garage Doors product or service, you can be assured that it is of superior quality. With the industry’s best garage door professionals at our helm, we are easily the leading garage door company in Mesa, AZ area. 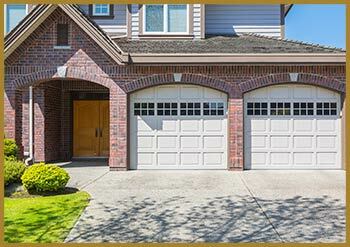 Hundreds of clients in Mesa have trusted us with their garage door service and installation needs! Join in on our esteemed client list today by reaching out to us on 480-527-0852!